I don’t know about you, but by this time of year, I’m about ready for a break from cooking. That said, I love to go out with a bang on New Year’s Eve. That used to mean some fancy dinner, but lately, I lean toward lighter meals and fun Vegan New Year’s Eve Snacks to complement our low-key celebration. 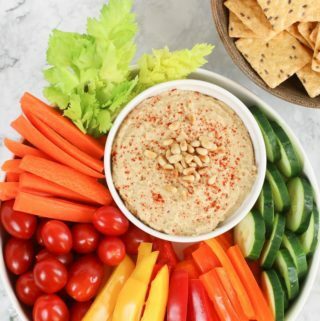 So I thought, why not round up a few of my favorite, go-to appetizers and shareable fare that would be awesome, healthy vegan New Year’s Eve snacks!? What are your plans to ring in the new year year? Are you heading to a party or just cuddling up in front of the tube? (Hemant’s favorite NYE thing is binge-watching Twilight Zone episodes! We’ll see.)? Enjoy! And a happy, healthy New Year to you, my friends. ? 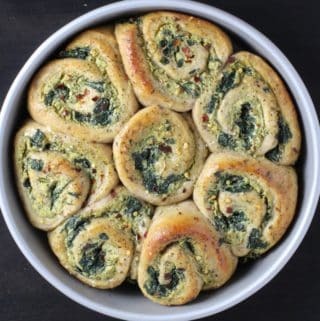 This pizza rolls appetizer is one of my most popular recipes, so popular in fact, they were recently featured in One Bite Vegan Magazine. 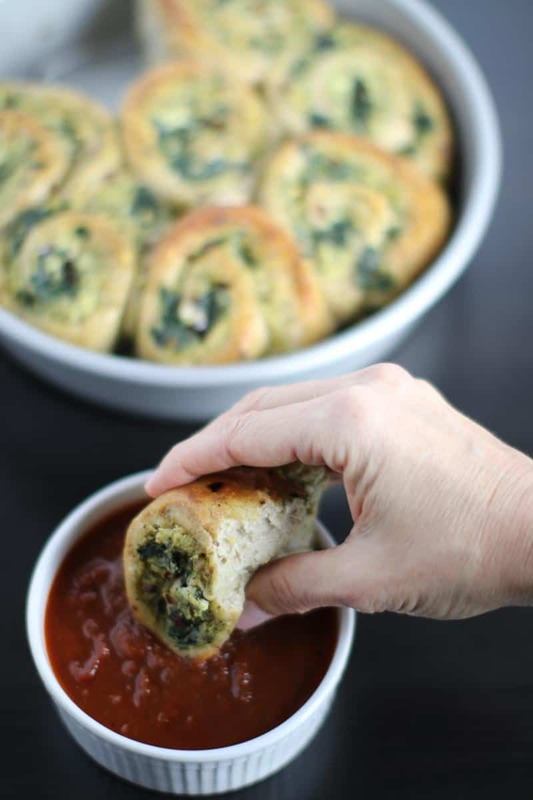 These rolls are garlicky and bready, and absolutely scrumptious dipped in pizza sauce. You’d never guess they’re made with 100% healthy ingredients. They take a bit of prep time and assembly, but they’re definitely worth it. 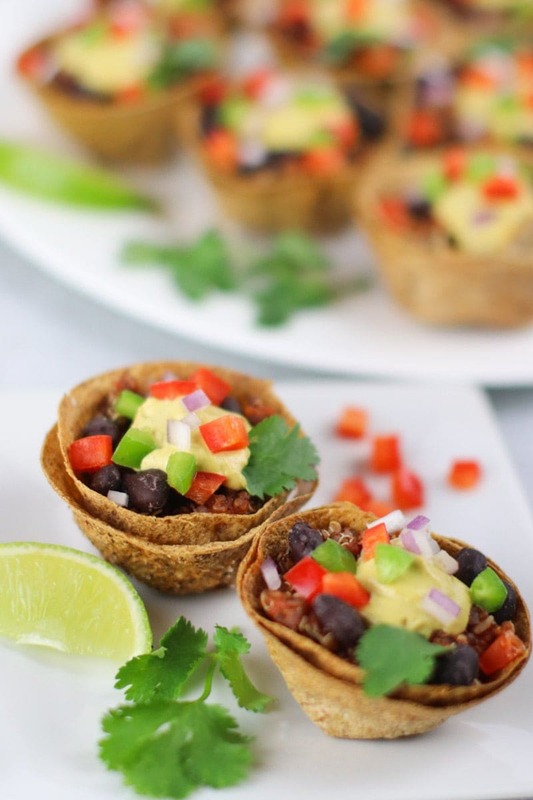 The word my lovely readers most use to describe these mini taco cups is ‘adorable.’ Seems about right! They’re so colorful they just beg to be nabbed off the buffet table. Take these to a party if you wanna get some oohs and aahs. Of course, Hemant and I had no trouble downing a dozen of these all by ourselves. 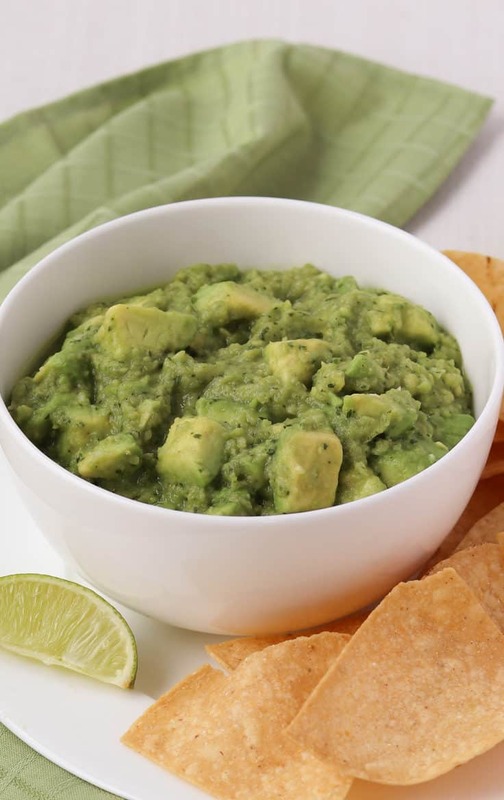 Tortilla chips with heaps of guacamole are classic vegan New Year’s Eve snacks. 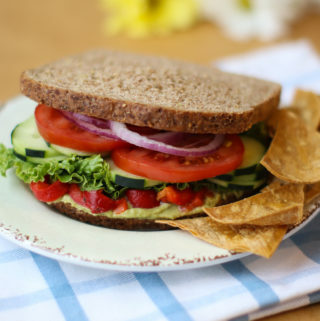 I love this version of guacamole because you get nice, big chunks of avocado, and by blending all of the non-avocado ingredients together into a dressing, a slightly different texture and taste. Everyone loves it! 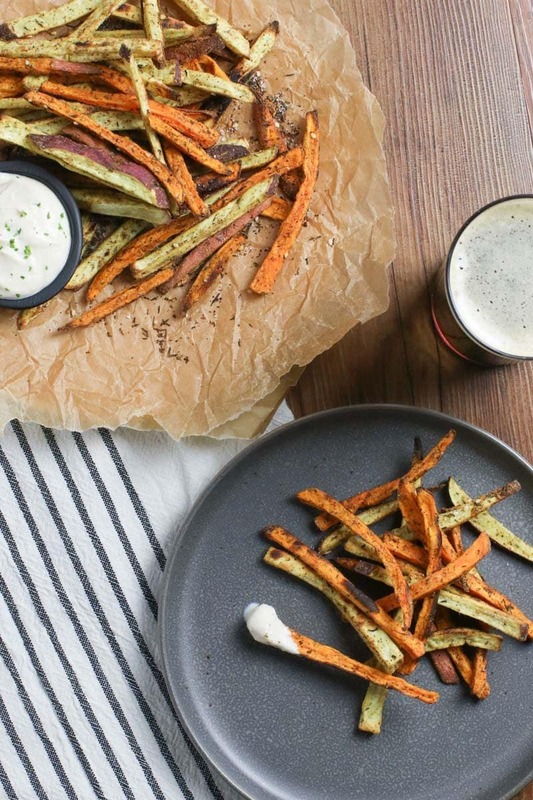 If you’re more of a beer connoisseur than a champagne aficionado, these baked fries are perfect healthy vegan New Year’s Even snacks…and a good base. (Rule to live by #17: Never drink alcohol without a base!) These are best enjoyed immediately after cooking. I can see cutting up a bunch of sweet potatoes earlier in the day, then just popping sheet pan after sheet pan of these babies into the oven all night long! 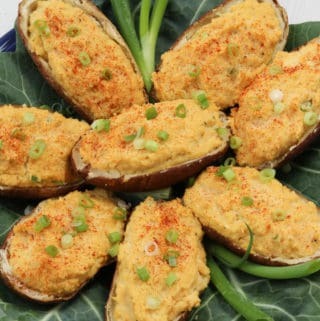 By itself, this demure little recipe isn’t much of an appetizer. 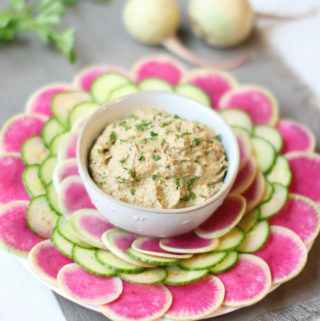 But spread it on some crostini or crackers, maybe add a drizzle of agave syrup–and you’ve got a fancy pants vegan New Year’s Eve snack. 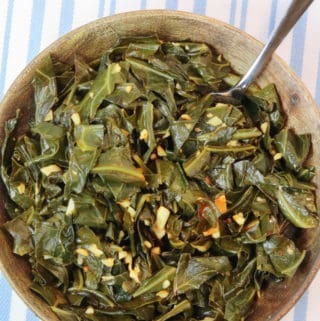 It would be great on a appetizer board, too. 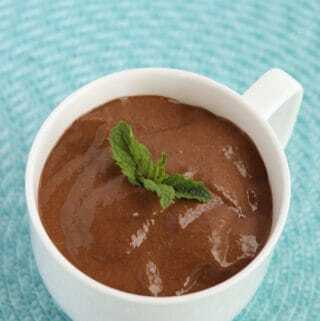 Or, mix in some of your favorite herbs or flavorings (garlic, chives, or vegan french onion soup mix) for a luscious dip. Now, we’re getting into the light meals category. 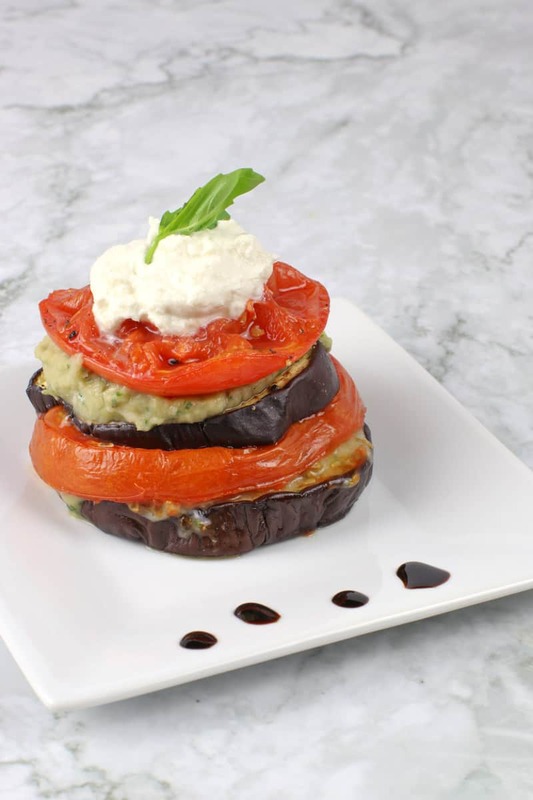 I love these little stacks because they’re made with just 5 healthy ingredients. 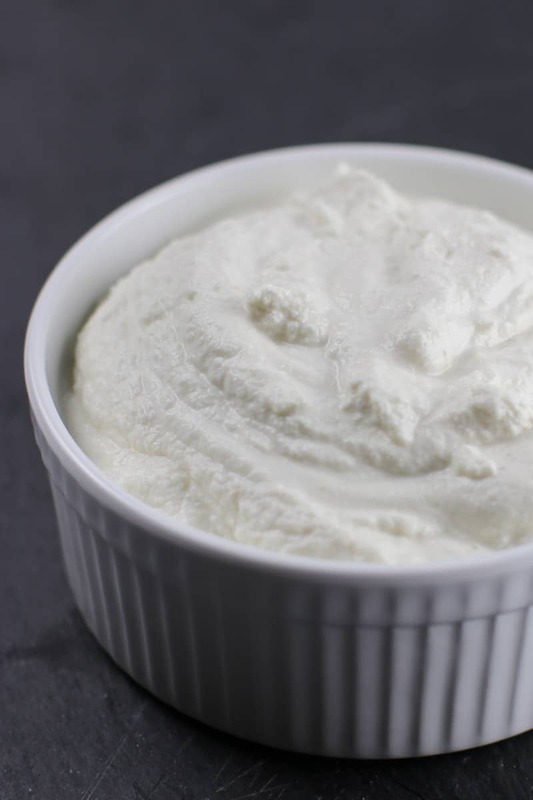 You can dress them up with a little almond ricotta and reduced balsamic for elegant vegan New Year’s Eve snacks, or serve them with some creamy polenta and make it dinner. 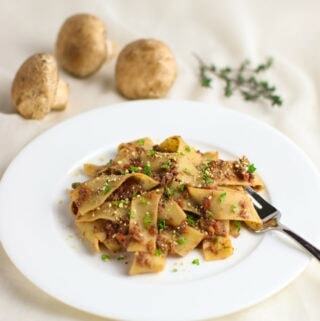 Here’s another dish that would be great as light dinner–or a welcome addition to a New Year’s Eve potluck. 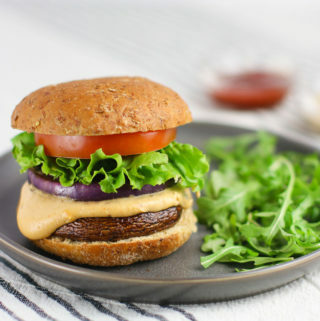 Once again, these are crazy healthy and vegan-cheezy. 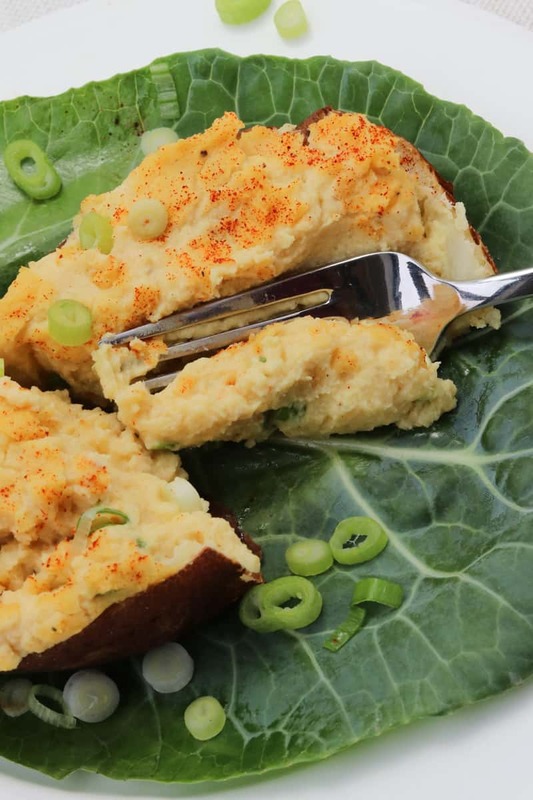 It’s hard to put into words how much we love these potatoes at Chez Shah! Hint: make extra Easy Cheezy Sauce to pour over the top. Yummmm! 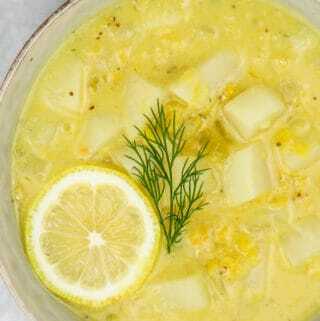 This is by far the most popular recipe on Healthy Midwestern Girl. 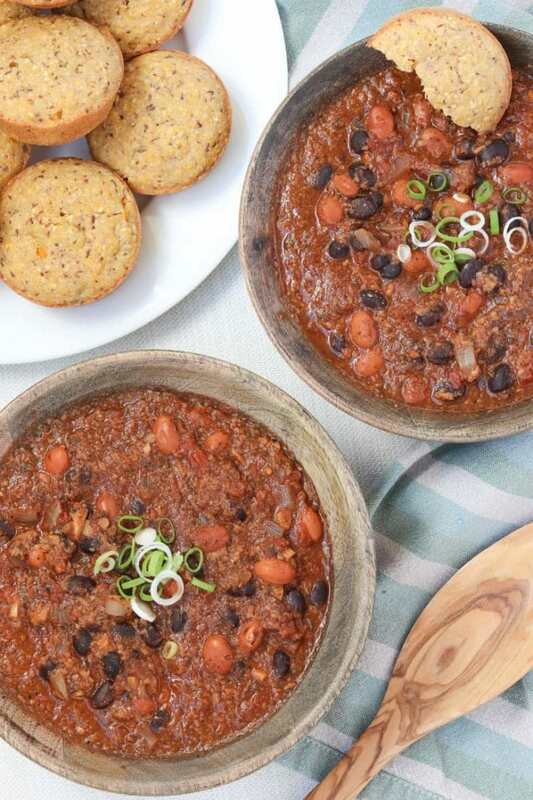 Ground (and browned) mushrooms make this chili pleasingly ‘meaty’ without relying on soy meat stand-ins. 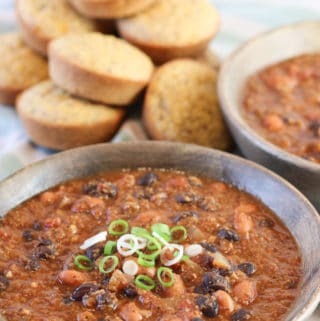 And there are a few ingredients in this recipe that completely take this chili to palette-wowing heights. 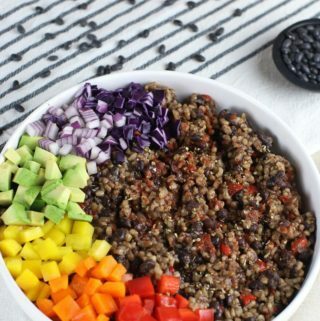 Make this chili for a healthy, hearty vegan New Year’s Eve snack–or any time. You won’t be sorry! 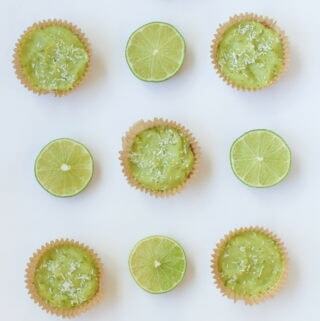 Choosing a favorite blog recipe is like choosing a favorite child–I love them all! 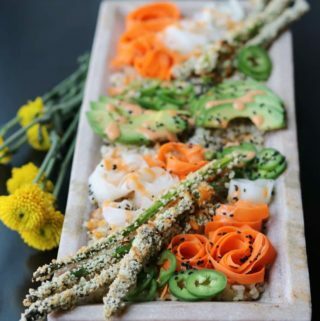 That said, I truly adore this sushi bowl recipe. It has all of my favorite sushi flavors and textures, and it’s simply lovely to look at. 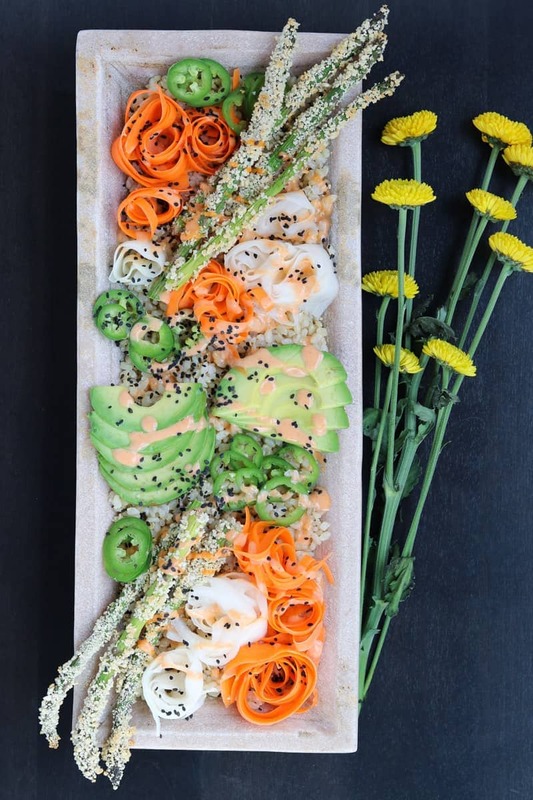 This crispy, spicy sushi bowl recipe would be great as a meal to share (just serve it up on one big platter) or as an intimate vegan New Year’s Eve dinner for two. 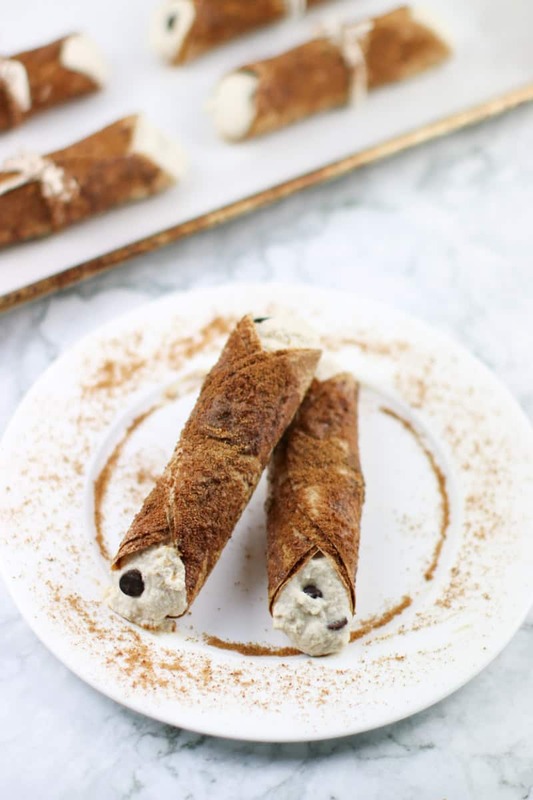 These baked tortilla cannolis are the ultimate fun and fancy, vegan dessert. 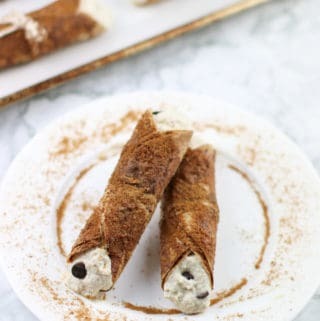 They’re light and crispy on the outside, sweet and creamy on the inside–just like you’d expect a cannoli to be–but a whole lot healthier. 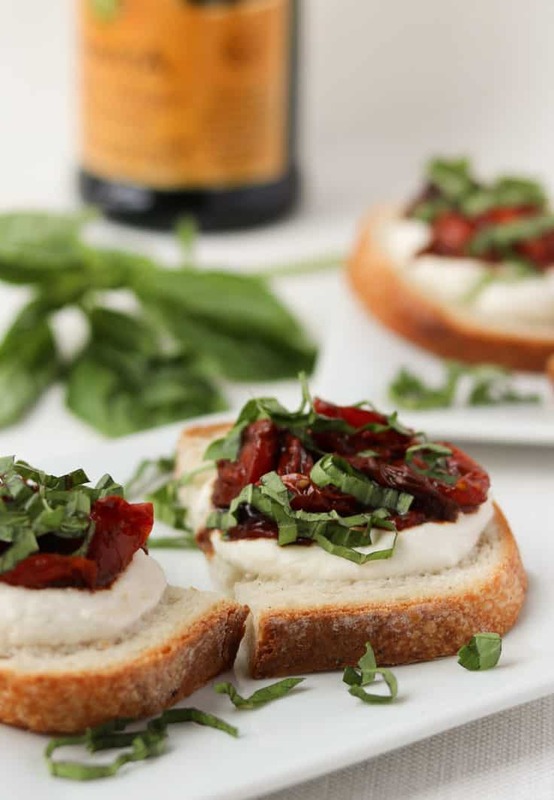 Serve these up for a crowd, and everyone’s going to want the recipe, guaranteed. Or just stay home and see if you can polish them off yourself by midnight. New Year’s resolutions don’t kick in until January 1st, right? !